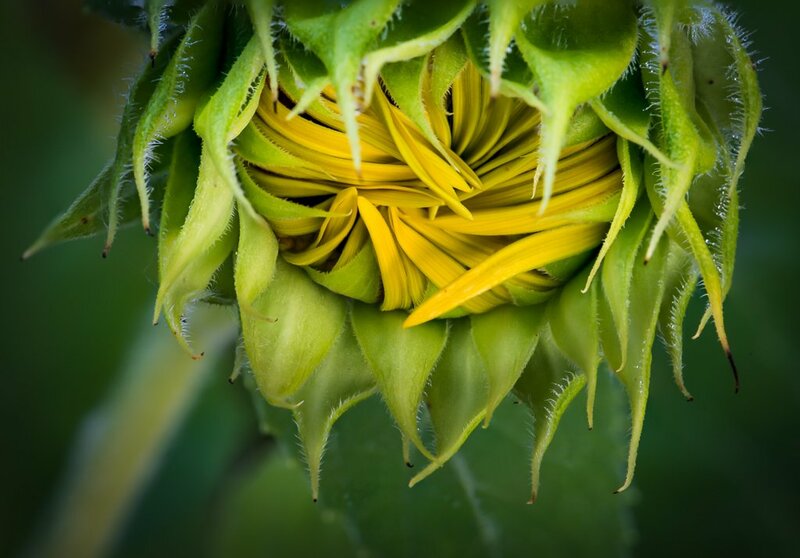 Focus stacked shot of a budding sunflower. Thank you so much for the follow- very honored. I look forward to following you as well. A wonderful shot. Lovely details and light. Love the velvety feel of the petals. Great work! @joemuli @mittens @joysabin @lynnz @haskar @domenicododaro @kgolab Thank you all for your favs and lovely comments. Much appreciated!